First of all, please read them. We sell Kimekomi-style doll kits, fabrics and tools. Not only you can buy completed dolls, you can pick fabricss of dolls and make Kimekomi dolls by yourself! Enjoy our wide selection and don't hesitate to ask bodies only or faces only. We will be happy to assist you. 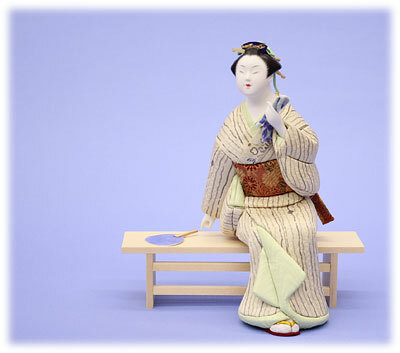 Q & A If you have any questions about Kimekomi dolls, please read Q&A first and ask us any time. If you are interested in our products, please drop by our store. Our English skill may be limited, but we will help you as best as we can.